Little Blue Tower ~ Welcome, fellow Traveler. 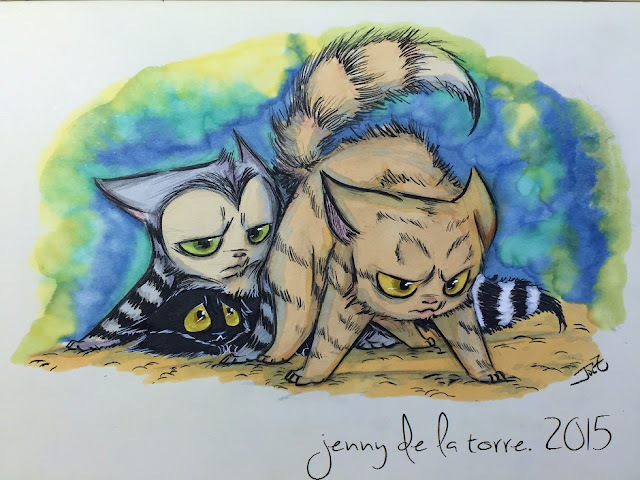 Wander into the art of *Jennifer De La Torre*: "Back off!" Yup, my wayward creative spark has finally returned and I'm glad to be back doing the art thing. I'm trying out my new Chartpak Pastel markers and Kuretake brush pens for the first time! Oh, before I forget. Here's the LINK for the finished piece of the "Alice in Wonderland" post before this.